I love it when someone takes the time to compile a large amount of information into one easy-to-navigate format, and someone at OWH has done just that. If you ever wanted to know pretty much all the terminology related to cardmaking, you can find it HERE! Operation Write Home (OWH) serves American servicemen and women around the globe by providing handmade cards for them to write letters home to their loved ones and supporters. In fact, OWH recently "deployed" its 2.5 millionth card--that's 2,500,000 handmade cards that have gone to military personnel so that they can keep in touch with their families since 2007. I am very pleased to be a tiny part of this amazing project. To see a recent local news segment about OWH founder Sandy Allnock and her mission, click HERE, and then click on the photograph. When you see Sandy open her door to pick up a box of donated cards, look closely at the return label. I'm pretty sure that's a Club Scrap label--and those cards are from CS members!! OWH has guidelines to follow for submitted cards on their site. Another way to help is by donating money to help SEND those boxes overseas. It costs quite a bit to mail those packages! All donations are tax-deductible. I do wish OWH was around when my hubby was overseas! 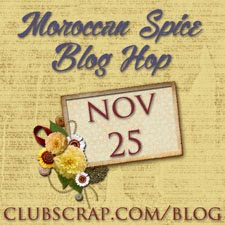 Fire & Ice Blog Hop! !